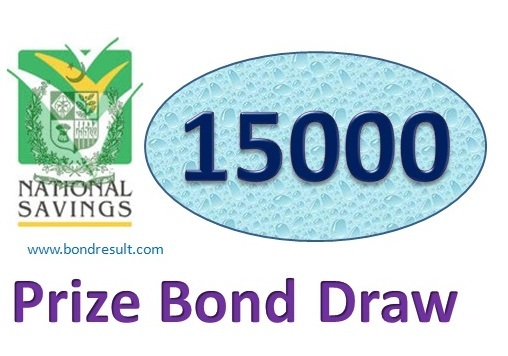 Hyderabad (Wednesday, July 01, 2015): The Central Directorate of National Savings Ministry of Finance Government of Pakistan has today enlist the draw of national saving prize bond Rs 15000 on Wednesday, July 01, 2015 (01-07-2015) in Hyderabad. The Prize Bond Rs. 15,000 Draw List 01 July, 2015 at Hyderabad is the 63 number draw so far. You can get the is full list of prize bond 15000 at 5:00 pm but the first and second prizes will be announced at 8:00 am on bondresult.com. You can win the first prize if you have luck but the high amount of prizes increase the chances of winning the any number. The First Prize is Rs. 30,000,000 that will be awarded the first lucky winner. And the 3 numbers will get the bulk some amount Rs.10,000,000/- Each. The other 1696 numbers will get Rs.185,000/ inam. All are the lucky who win the prize. 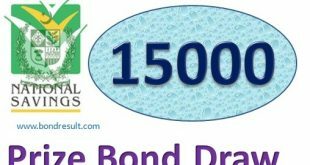 Prize Bond Draw Hyderabad Rs.15000 Result Full List, National Savings Hyderabad Prize Bond Draw List, Rs. 15000 Prize Bond Draw list 1st July 2015, Prize Bond 1500 Rs. Draw Announced in Hyderabad 01/07/2015, First July 2015 prize bonds results Rs 15000, Rs 15000 prize bonds result 1st July 2015. To get the list of all prize bond and the complete year prizebond schedule visit bondresult.com.